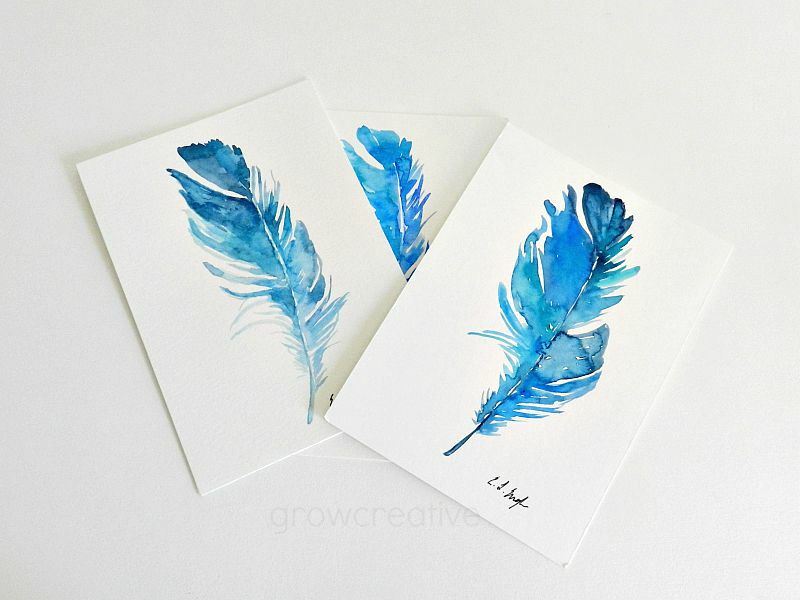 The inspiration for these three little feathers came from a real feather, but the paintings look nothing like it. Oh well. Looking at real objects while painting helps me get better shapes and forms, even if I ignore the actual colors and insert my own. 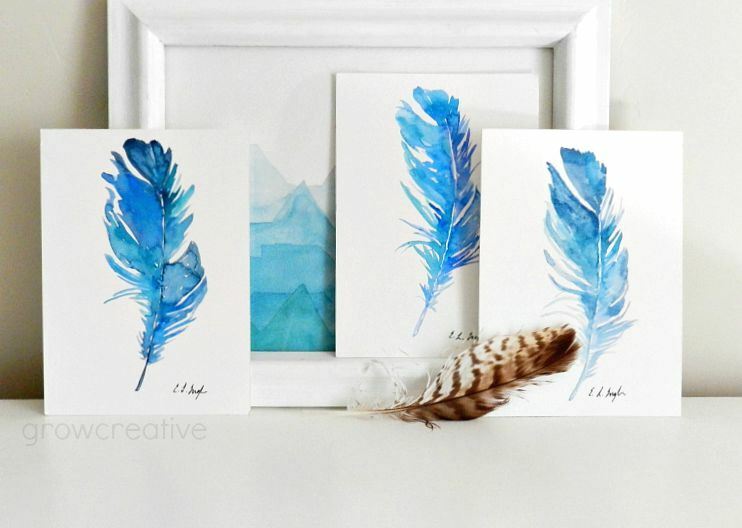 So here are my nearly-identical versions of the feather in gorgeous blues! 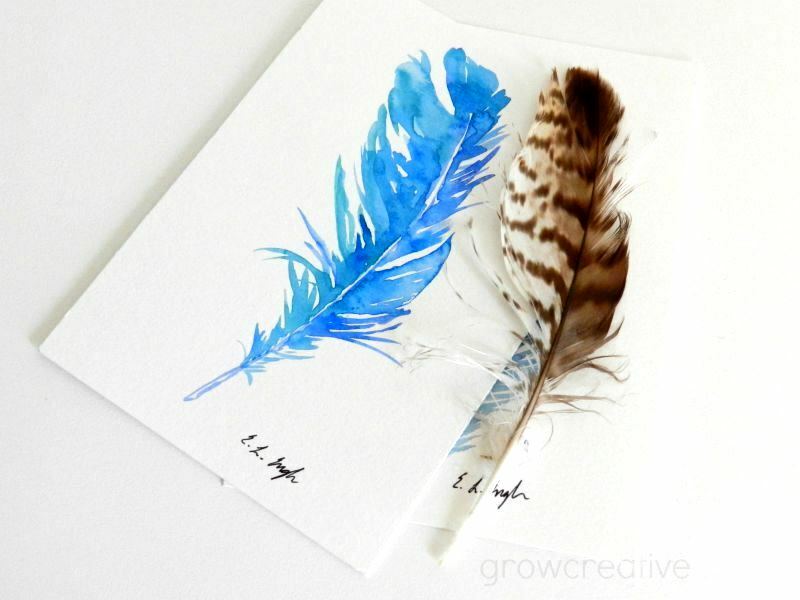 You can find these 5x7 feathers for sale in my Shop. Beautiful paintings! I love the blue interpretations, really pretty. 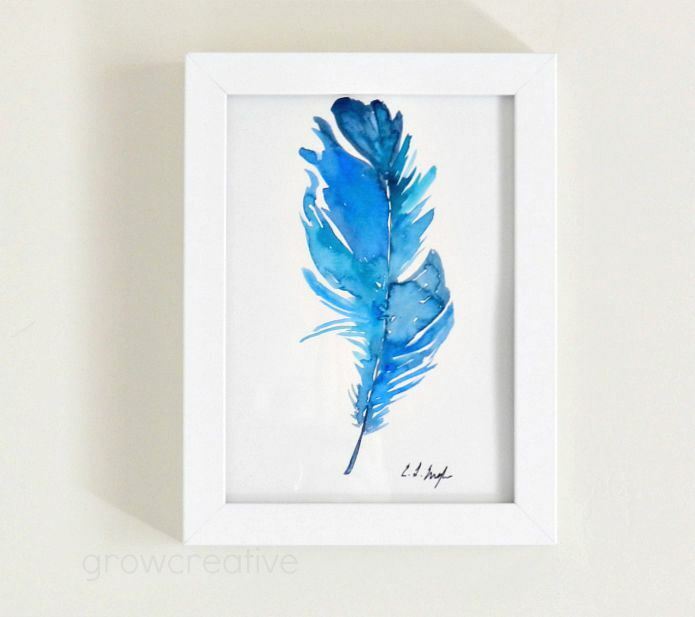 I do this too - use photos or objects as a reference for shape, structure and tone but then I play with colours :) lovely feathers. Thanks Jenna- I'm glad you use that trick too! These are just beautiful, Elise. Thank you! I just painted around that line to leave it white. It was hard, but doable. You could use masking fluid to get the white line also.